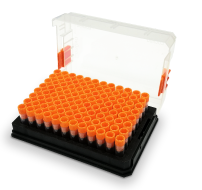 • A unique collection of 108 small molecule compounds for high throughput screening(HTS) and high content screening (HCS). such as cancer, and opening noval therapeutic ways. A unique collection of 2448 FDA approved drugs for high throughput screening (HTS) and high content screening (HCS). A unique collection of 2472 preclinical and clinical compounds for high throughput screening (HTS) and high content screening (HCS). A unique collection of 4860 bioactive chemical compounds for high throughput screening (HTS) and high content screening (HCS). A unique collection of 6716 bioactive chemical compounds（From Pfizer） for high throughput screening (HTS) and high content screening (HCS). A unique collection of 708 kinase inhibitors for high throughput screening (HTS) and high content screening (HCS). A unique collection of 3924 chemical compounds featured different core structures and structural diversities respectively for high throughput screening (HTS) and high content screening (HCS). A unique collection of 1849 natural products for high throughput screening (HTS) and high content screening (HCS). 276 small collections of human cell metabolites, involving multiple metabolic pathways, which can be used for high-throughput screening, opening up new ways for humans to treat various diseases such as tumors. A unique collection of 400 small molecules used for anti-infection research in order to identify drug target and open up new mechanism and ways to treat human disease. A unique collection of 1832 anti-cancer small molecules for 12 types of cancers: Breast Cancer, Leukemia, Lung Cancer, Lymphoma, etc. A unique collection of 143 small molecules affecting the development of diabetes. A unique collection of 896 anti-infective small molecules with biological activity of antibiotics,antifungal drugs,anti-HIV,etc. A unique collection of 662 small molecules used for apoptosis research targeting Bcl-2,Caspase,p53,TNF-alpha,Mdm2,survivin, etc. A unique collection of 607 small molecules with autophagy-inducing or autophagy-inhibiting activity. A unique collection of 230 anti-cancer compounds for high throughput screening (HTS) and high content screening (HCS). A unique collection of 116 small molecule compounds with biological activity used for tumor proliferation research and associated assays. A unique collection of 302 CNS-Penetrant compounds with biological activity for neurologic research. A unique collection of 174 small molecules used for DNA Damage and Repair research targeting PARP,ATM/ATR,Topoisomerase,DNA/RNA Synthesis etc. A unique collection of 2622 drugs that are marketed around the world or that have passed phase 1 clinical trials for high throughput screening (HTS) and high content screening (HCS). A unique collection of 939 Fragment compounds for Fragment-Based Drug Discovery (FBDD). A unique collection of 1054 small molecules modulators (inhibitors and activators) with biological activity used for Immunology/Inflammation research and associated assays. A unique collection of 2582 inhibitors for high throughput screening (HTS) and high content screening (HCS). A unique collection of 226 small molecule modulators used for Ion channel research. A unique collection of 89 small molecule inhibitors used for MAPK signaling research. A unique collection of 870 small molecules with biological activity in numerous metabolic pathway: glycometabolism, lipid metabolism, proteolysis, etc. A unique collection of 37 small molecules used for NF-κB Signaling pathway research which plays a key role in inflammatory and immune responses. A unique collection of 167 small molecule inhibitors used for PI3K/Akt/mTOR pathway research. A unique collection of 215 small molecule inhibitors used for chemical genomics, high-throughput screening (HTS), and high content screening (HCS). A unique collection of 293 validated bioactive compounds covering over 119 targets. A unique collection of 28 small molecules with biological activity used for TGF-beta/Smad pathway research.